Many people have recently asked us this question so let’s address it. Should you try to sell by owner? Many people think selling by owner can save them some money on commissions but there’s more to a transaction than commissions. The liability of a transaction is something people don’t often talk about mainly because they don’t think about it. The slightest discrepancy or item not completed properly during a transaction can cause either the selling or buying party much grief and thousands in legal fees. Did you know that approximately 10% of homeowners actually sell their homes themselves? Statistically within that 10%, sellers not only accept a lower price but some even said they wouldn’t do it again and will hire a real estate agent next time. Should You Try To Sell By Owner? One of the biggest positives of hiring an agent is the marketing strategies they bring to the table. Agents employ the efforts of several avenues and methods to sell your home. For instance the MLS, sellers will not have the ability to add their home to the biggest marketing network of all as you must be a licensed agent and MLS member to add properties. Additionally, a tech savvy agent will also make sure your home has the most exposure possible by also using online advertisements. Agents that use the MLS will be able to share your home for sale. What does this mean? It means that you now have all the agents in the area trying to sell your home. You’ve hired an agent to represent you and that’s exactly what they’ll do but they many not necessarily sell your home to a buyer. Instead by using the MLS another agent may actually bring a buyer because of the MLS sharing efforts. Did you know selling by owner may actually get you a lower price for your home? A buyers mentality on a for sale by owner (FSBO) property is that there is a deal to be had. It’s quite funny because it’s quite the opposite from the sellers view! Sellers however may be forced into selling at a lower price because of the demand on their home. For instance if you’re selling an item and only one person knows about it then the price will be determined by that single buyer, hiring an agent will get the property the most exposure possible thus enabling multi-interest on your property and ultimately a higher price. Let’s say you as the seller are a marketing guru, you’ve placed ads, you’ve handed out flyers to the neighbors, hired the Goodyear blimp and host open houses. You just might start the phone ringing for potential buyers interested in your property. When they call do you know how to answer the questions they’ll ask like; When can I see the property? Easy question right? Maybe not, how do you know who that buyer is or if they’re even qualified to buy your home. Are they really interested in your home or whats actually in your home? 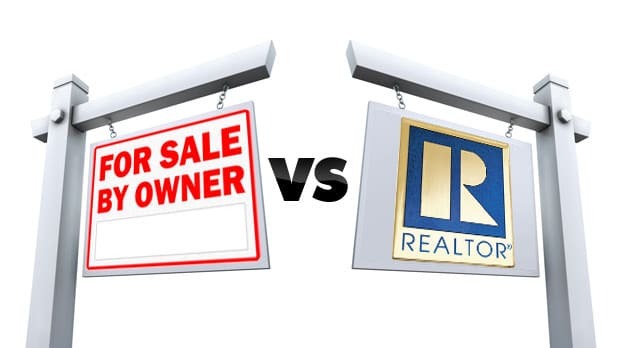 Hiring a Realtor is much safer than selling your home yourself. For more information on the sell by owner process, please contact us or leave a comment below. We’d appreciate the opportunity to assist you.